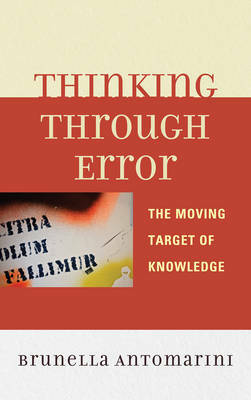 Thinking through Error: The Moving Target of Knowledge argues that there is a positive view of error. Making errors does not only mean that we've done something wrong, but also that we -more or less unaware- are given a chance to find something new and true. Trying to avoid errors is a social request, but it is uncertainty that has a liberating function on the philosophical level, as well as on the individual, psychological level.